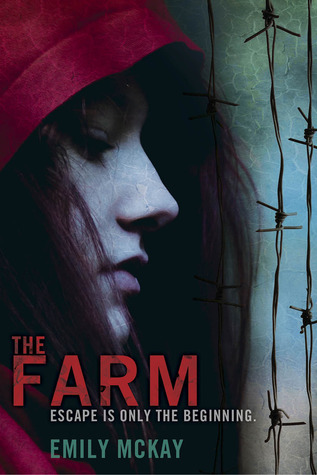 Review: ‘The Farm’ might seem like one of those typical YA Vampire novels that have been just absolutely everywhere for the last few years. To be quite honest, I’m not really into those vampire books anymore, in fact I try to avoid them if I can, so I honestly have no idea why I picked this book up in the first place but I’m glad that I did. The focus of ‘The Farm’ does not rest solely on the vampires- there are vampire/human forbidden romances, but instead there are these creepy things, and those descriptions of what they look like- they actually sound terrifying, called Ticks. They are sort of like the more extreme type of Vampires that you’d see in a horror movie- they aren’t human whatsoever, they are literally beasts. I actually really liked the Ticks, for the sole reason that they took away the focus from the vampires which made this book stand out from all those other vampire books. 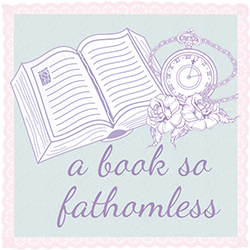 This being said, I found that the biggest focus of the book wasn’t about the vampires, or the Ticks or even the romance- the two biggest things for me were the escape and the importance of family for the main character Lily. I liked how protective of her twin sister, Mel, that Lily was and how this protectiveness sometimes blindsided her. Lily definitely come across as the ‘perfect’ heroine, she definitely screwed things up, she was stubborn and that was what made me like her. The book is told in three perspectives, sort of, Lily’s is the main perspective and is in first person, but Mel’s voice is also heard- usually very short and in a jumbled sort of narrative, and Carter’s was also heard in third person. Usually I’m not a fan of multi perspectives but I liked how this one was done- it didn’t constantly flip between the three and when it did, it was clear to tell whose mind it was. Another thing I really liked was the fact that while this book could be quite serious and even a little bit creepy, there were still moments of humour within the book. One of my favourite references was a sentence which talked about both Edward Cullen and Stefan Salvatore (Vampire Diaries fangirl right here). Anyway, I liked how the characters mocked the ‘modern definition’ of vampires- the sparkling etc. All in all, I’d definitely recommend this book to all of you, especially if you’re looking for a different kind of vampire novel. I tend to stay away from the Vampire genre too. Been there, done that. But you're right, this does sound very interesting. Thanks for sharing.